Starting over with new officials. Players anticipated the return of the regular officials hours before the NFL ended its lockout. 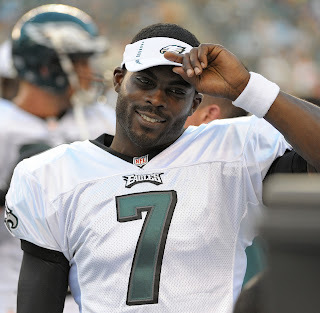 All things considered, Eagles quarterback Michael Vick is welcoming them back. The regular officials, if you will, go back to work tonight when the Cleveland Browns take on the Baltimore Ravens. The NFL Referees Association union begins voting on the eight-year contract Friday. With agreements reached on pay, pension and the NFL’s initiative to begin hiring full time officials, the voting is a formality. Compensation for the officials jumps from an average of $149,000 from last season to $173,000 in 2013. The NFLRA pensions are intact through 2016. After that they shift to a 401k program with a partial match. Vick and the Eagles get the regular officials when they take on the New York Giants Sunday night at Lincoln Financial Field.